Women compete on the soccer pitch for the first time in Fontaine, a mountain village in Haiti. What may appear to be quite insignificant may very well be a momentous moment in history in a remote mountain village in Haiti at 4 PM on Sunday, February 24. 2019. 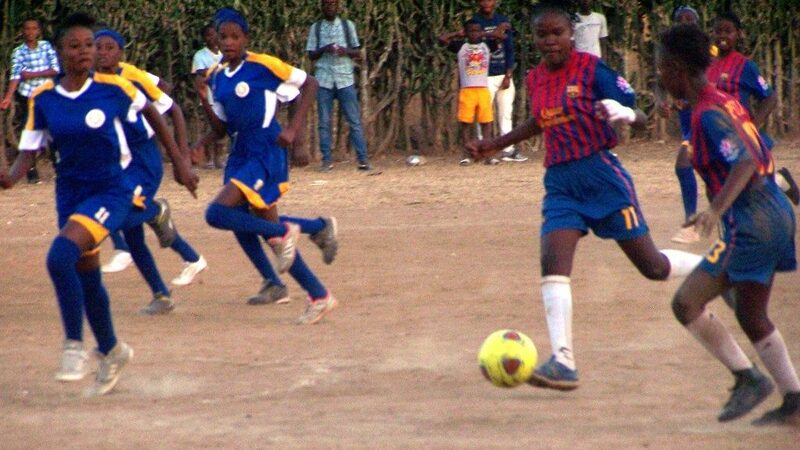 For the first time ever two women’s soccer teams took over the community soccer field before an overflow crowd from scores of villages near and far, where the students of the two schools live. The intensity and skill of the 90 minute match gripped the crowd and solidly established women’s soccer as a new phenomena in a country where few if any women have ever donned sports’ uniforms and played the national pastime of the country. 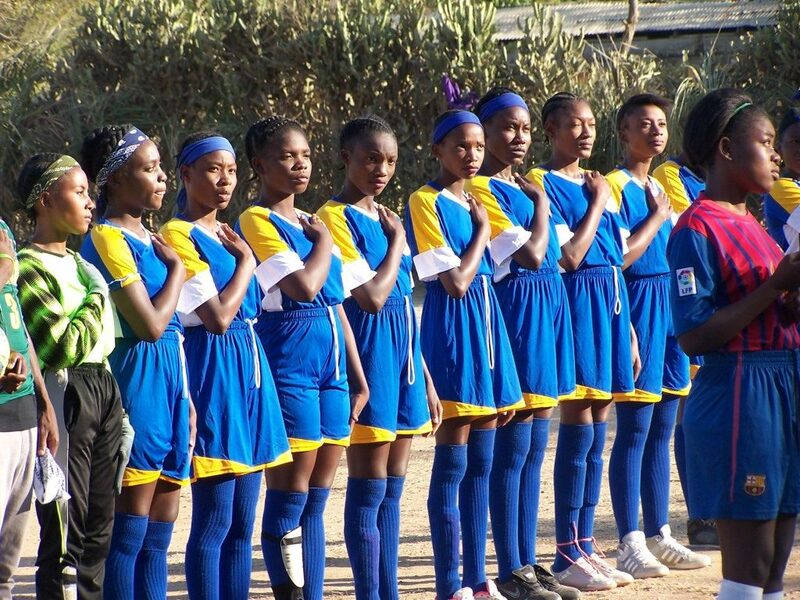 The two schools, Collège of St. Gabriel’s, Fontaine, a private Catholic middle and secondary school, and The Philadelphia School, a Baptist elementary, middle and secondary school in the village, have clearly lit the sport’s flame in many of the women students. The energy of the event exploded as the first women in the villages kicked off layers of cultural taboos about women athletes in Haiti and freed their imaginations to live life more fully. Many of the ladies were warned by elders that playing sports would cause serious health problems and even make them sterile. 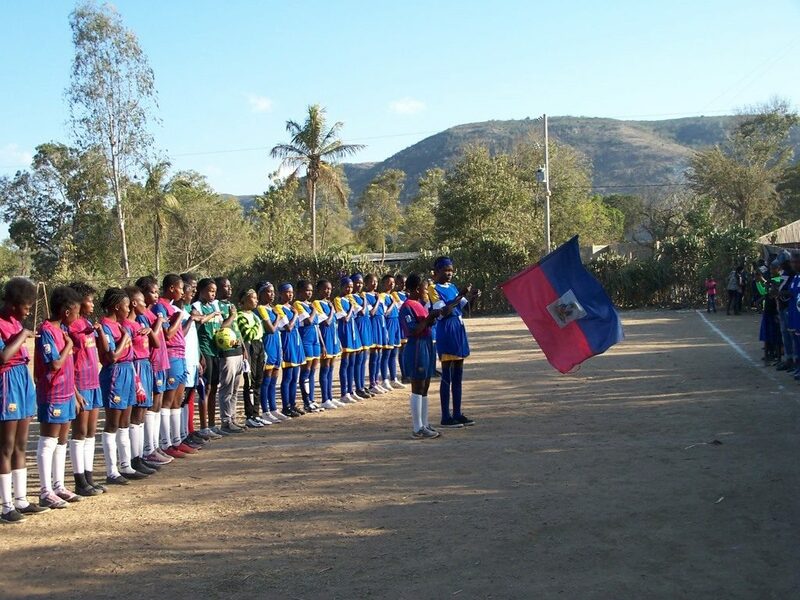 Therefore, it is not exaggerating to say that these women athletes gave birth to a whole new level of consciousness of women’s equality and dignity in this remote part of Haiti. Last year a college pre-med student volunteer at St. Gabriel’s announced that she would form a women’s soccer team if any ladies were interested. Pages of sign-up sheets showed no doubt about it: 62 students had signed up. Practices began and not even the sudden downpour of a Haitian rainy season could dampen the spirit of these newly liberated women from firing shots at the goal. Maya Reagan, the college volunteer who organized the tryouts, asked Siena College, from Loudonville, NY and Our Lady of Good Counsel High School, Olney Maryland, if they could help find soccer uniforms. Many professionals who work in developing countries agree that significant development really happens when women are empowered. Real education awakens young or old alike to the glories of being alive and the thrills of using all of one’s energy and talents to reach to the stars. What happened on February 24th in this remote village that is not even on the map portends great things for Haiti and our world. The final score of the match was 2 to 0, but the hundreds and hundreds of people cheering on the sidelines and the women athletes shaking each other’s hands felt in their hearts that everybody, especially Haiti, won this game. Brother William Griffin, CFX has served on mission at St. Gabriel’s Secondary School, Fontaine, Haiti, for 4 years by invitation of the Director and Founder of the school, Pierre Louis Joizil. Brother Bill was invited to advise the school administration during the early stages of the school’s development in 2011-2013. St. Gabriel’s is recognized by the Diocese of Cap Haitien as a Catholic school and has far exceeded the national success rate averages on the national exams students take after grades 9 & 13.